Much has been written about Grand Banks and about the Grand Banks 49 Classic over the years. Grand Banks built 125 of GB49s between 1980 and 1997. The first impression is that of the classic Grand Banks tricabin “Dependable Diesel Motor Motoryacht,” such as the GB36, GB42 and GB46 classics known to and respected by most yachtsmen, but that impression quicklygives way on closer inspection, to the impression of a small ship. At 60,000 plus pounds and loaded with 750 hp she is robust, stable and powerful. 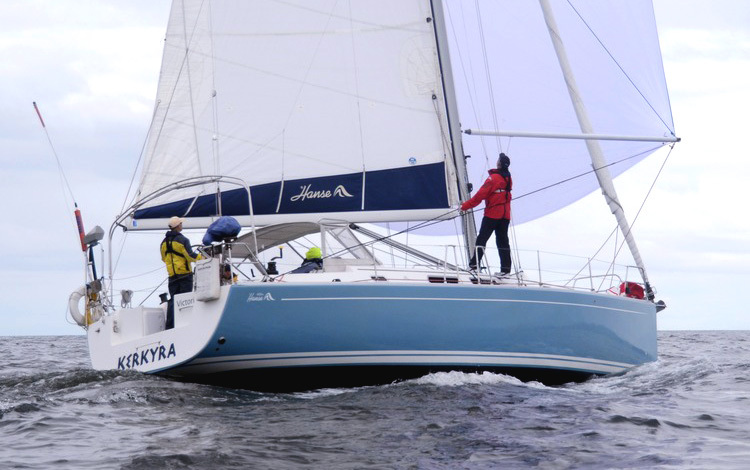 The semi-displacement hull form, with deep forefoot and full length keel provides stability at rest, economy at displacement speed, protection to running gear and the power to push through surging tidal currents. She strides waves and powers through a sea with grace and aplomb - such that the crew, however delicate, feels secure, safe, and aboard a well chosen yacht. 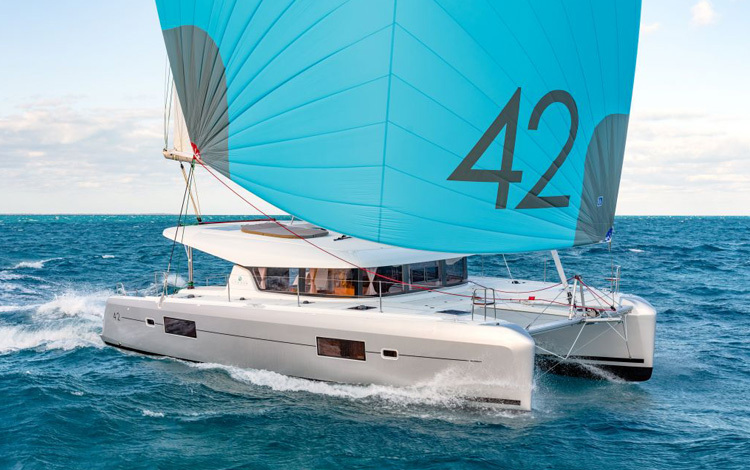 We are so excited to welcome Hanse 455's 2019 monohull to our fleet just in time for the 2019 Sailing Season! 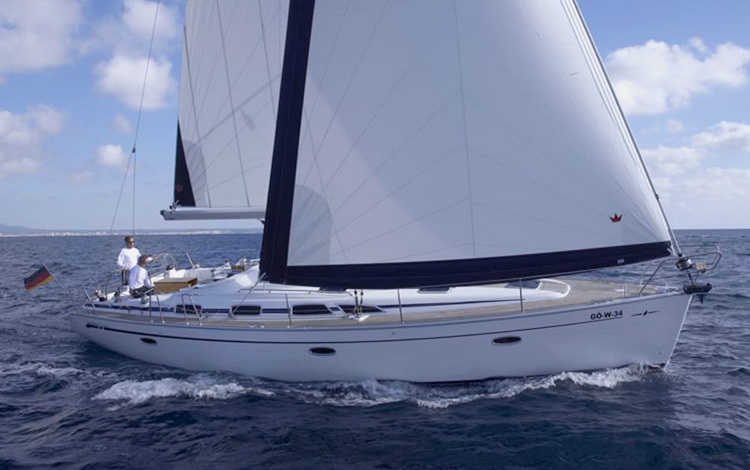 "The HANSE 455 has everything you could expect from a perfect cruising yacht. Fast cruising, easy sailing, innovative design". B&G navigation equipment including Broadband Radar, AIS and Autopilot - two 9” MultifunctionChart Plotter displays (one at each helm) including a transducer, wind/depth/speed & temperature! This is a three cabin and two head layout - WITH A DIFFERENCE. The forward cabin has a massive 2.10m berth, ensuite head and shower. The huge aft cabins can be adjusted to be equal in size, one large than the other or the bulkhead can be removed altogether for a palatial aft berth. The aft head has a separate shower stall. On deck, it has twin steering wheels, opening up the cockpit for easy access to the large swim platform in the transom. Contoured helm seats add a touch of comfort for the skipper while deep backrests to the cockpit seats lend lumbar support to the crew. She comes fully equipped with bow thruster, radar and fully enclosed cockpit to name a few of her fav features Book to sail this vessel soon - it’s all about comfort and class! *direct communication between the cockpit and saloon *improved circulation, forward and aft of the helm station, *direct access to the coachroof for easier access to the boom *composite bimini with a sliding panel to ensure a good view of the sails * closure panel for helm station safety when under way. *a self-tacking genoa for ease of use *a larger foretriangle for a greater choice of downwind sails, *a shorter boom for ease of manoeuvring *mainsail broader near the head, taking advantage of less turbulent wind for a real improvement in performance *re-centring of the weight, which greatly reduces pitching. 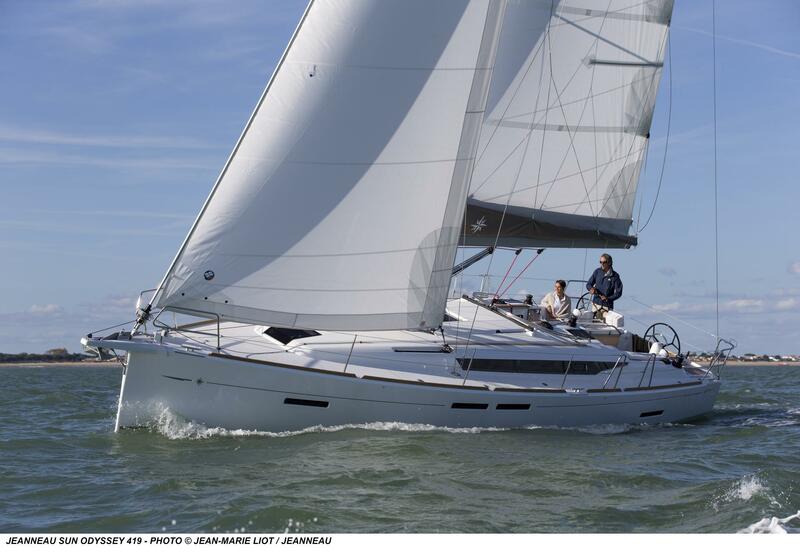 The Beneteau Oceanis 40 is well thought through below and above deck. This yacht provides comfortable sailing. The yacht has 3 double cabins. The owner's stateroom has its own ensuite and the saloon converts to an additional double berth. This is a popular yacht for families and groups of friends. This well thought out use of interior space and a good hull design makes for comfortable sailing on this 40 footer Beneteau Oceanis. With accommodation in three double cabins, including ensuite owner's stateroom fw'd and the saloon converting to an additional double makes it a popular boat rental for a family or group of friends. 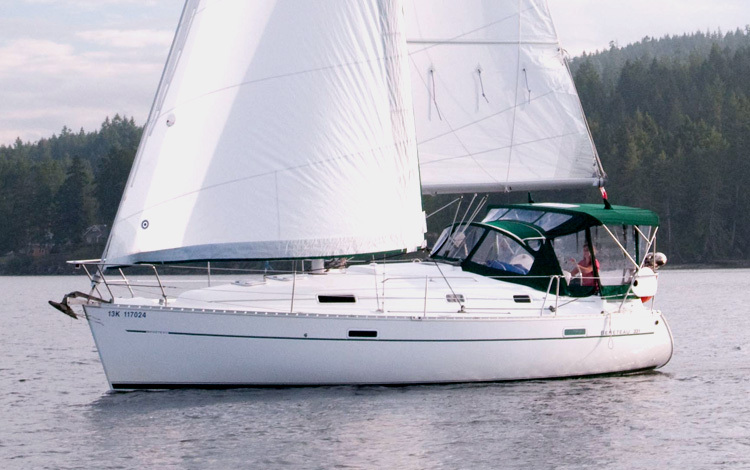 Well equipped, dual-helm steering 3 cabin/2 head monohull sporting a lazy jack easy furl mainsail and roller furling genoa creates one of the most comfortable sailing cruisers under 40 feet! 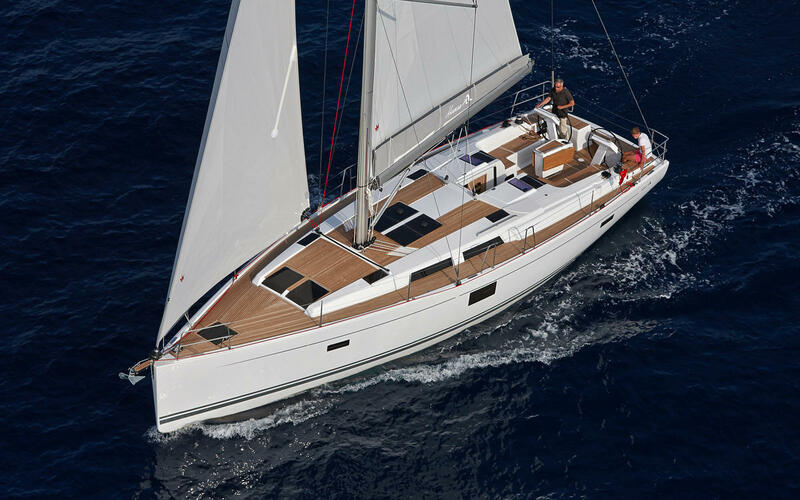 At last: Speed, comfort and easy handling have come together on board the Hanse 400. Attention to all aspects of the design and detail both interior and exterior of this fine vessel is unsurpassed. In addition, since her launch, she has been constantly upgraded with extras to make your time aboard so perfectly comfortable and fun! The 386 has evolved from the Hunter Legend 37 that set a record for innovation. A cockpit that could sit many in comfort and a vast deck with many ports, hatches and windows insure that below is bright and airy. 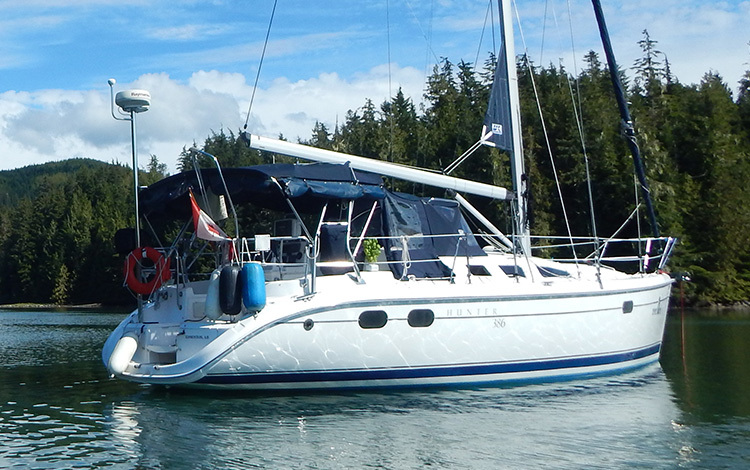 "Sun Dance" is all about comfortable Pacific North West Cruising with accommodation for 6. A fully enclosed fly bridge offering 360 views, as well as a solid sundeck over the cockpit below. A semi rigid inflatable on Seawise Davit system makes gunk holing in the islands a breeze. Fuel consumption is 8 gallons/30 liters per hour at a cruising speed of 8 knots. 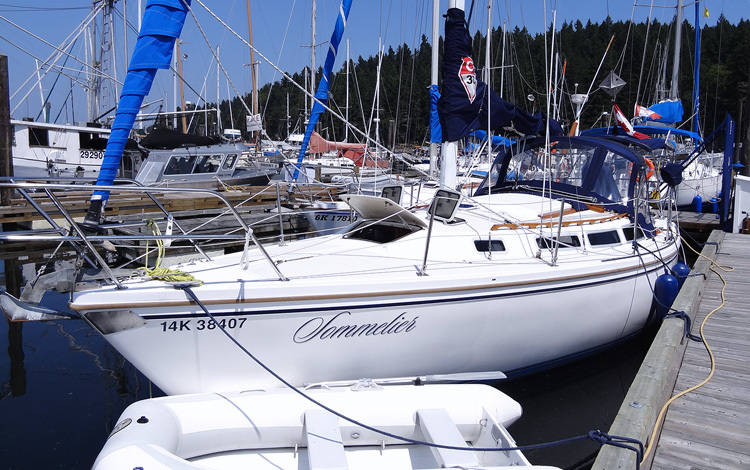 This vessel has classic slab reefing main in a lazy bag system and a roller furling genoa as well as a great deal of extras to make this a very comfortable sailing charter boat. The yacht has good headroom, an exceptionally large head, shower and aft cabin and a detachable full cockpit enclosure for sailing in our off season. A very roomy sailboat for it's size. This design vessel displays the best in performance without compromising one inch of interior space. The fully enclosed cockpit with a drop-leaf table, surrounded by plenty of built-in seating is entertainment ready for your sailing holiday. The aft master stateroom features a spacious double berth and abundant storage, while the forward cabin offers privacy for another couple. The U-shaped galley onboard has a two-burner range, electric fridge and deep sink. The salon offers expansive seating, a drop-down table and a navigation station. It is the ultimate cruiser in its size range. Call to reserve your week today. This design has the feel of some 35 footers down below. 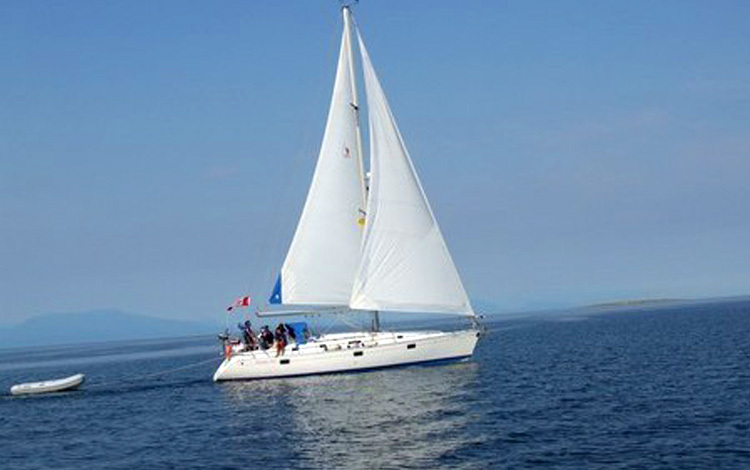 An ideal sailboat for a small family, alternatively the double stateroom layout is ideal for those wanting equitable accommodation on a sailing holiday for two couples. She is solidly built, well balanced and surprisingly fast. 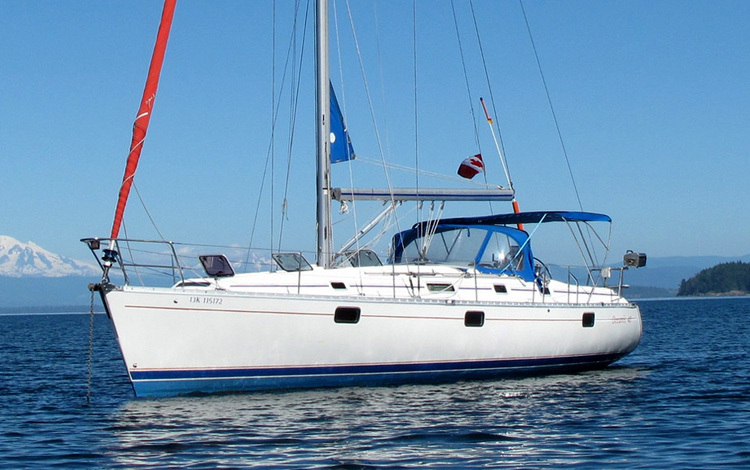 Designed over 25 years ago, the traditionally styled Catalina 30 remains extremely popular due to its wide and deep hull creating exceptional volume above and below decks, as well as for its stability under sail. It has a balanced rudder, mid-boom (cabin-top) main sheeting and pedestal/ wheel steering. 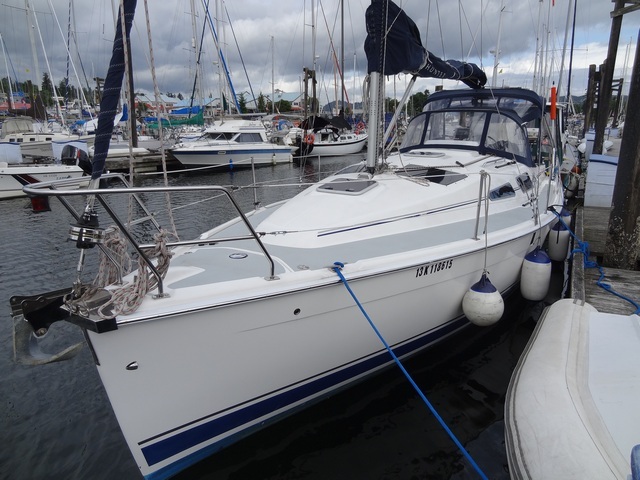 Another great little boat in our fleet to offer affordable seawise sailing miles for the newly certified sailor. Pronounced saw-muh-LYAY -the French term for a steward in charge of wine. For hundreds of years, Sommeliers were responsible for the cellaring and serving of wine to royalty. 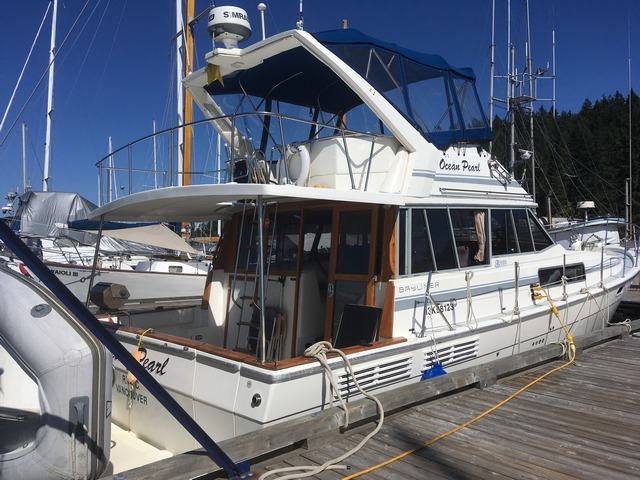 This well-known make of sailboat comes "FULLY LOADED" with many extras to add a little more comfort during your cruise (custom made cockpit cushions, microwave and late model Raymarine navigation equipment to name a few) - whilst still very affordably priced.